We had the pleasure of welcoming guests from Shanghai last week. 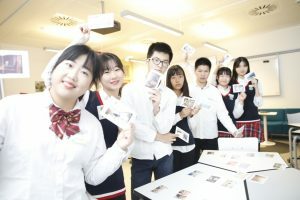 A group of 7 students and their teacher Karen from Shanghai Commercial and Accounting School visited us in Viitaniemi. They are part of the group of 22 students in Shanghai studying planning and implementation of marketing communication activities. The group is taking part in the programme leading to Finnish qualification in business and administration.